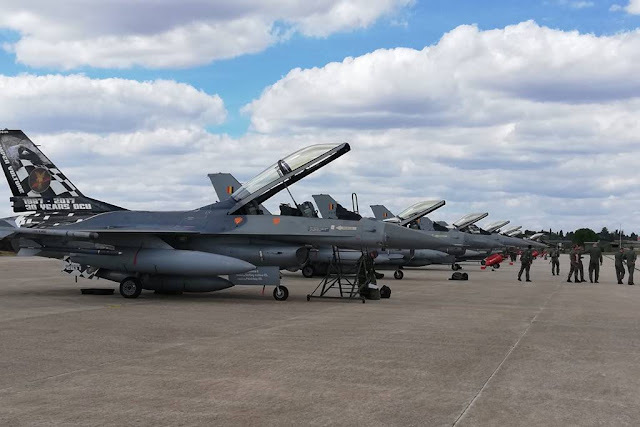 Belgian F-16 jets line up in Italy to train with Italian Eurofighters. 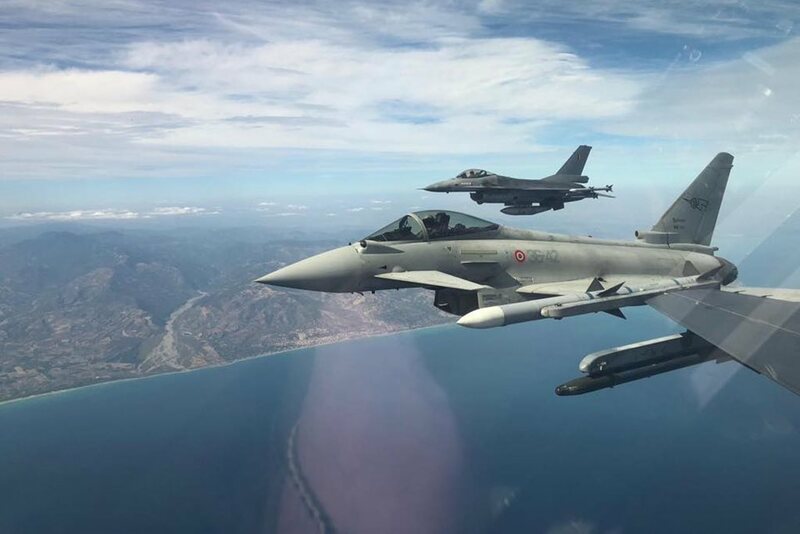 On September 24, 2018 seven Belgian Air Force F-16 MLU fighter jets lined up at the Gioia del Colle Air Base, home of the Italian Air Force 36th Wing, to conduct a 2-week joint training activity with Italian Eurofighters. The BAF aircraft came from the 2nd Tactical Wing based at Florennes Air Base and one of them features a special tail color that marks the 30th anniversary of the F-16 OCU Sqn (Operational Conversion Unit). The exercise aims to improve coordination, cooperation and standardization between the two nations on air defense procedures in according to the European Air Group (EAG). The EAG is an organization composed of air forces from seven nations - Belgium, France, Germany, Italy, the Netherlands, United Kingdom and Spain - founded with the aim to identify realistic ways to improve the interoperability between member nations. The current Director of the EAG is the Chief of Staff of the Italian Air Force, General Enzo Vecciarelli. This role is assigned in rotation to the leaders of the participating countries. 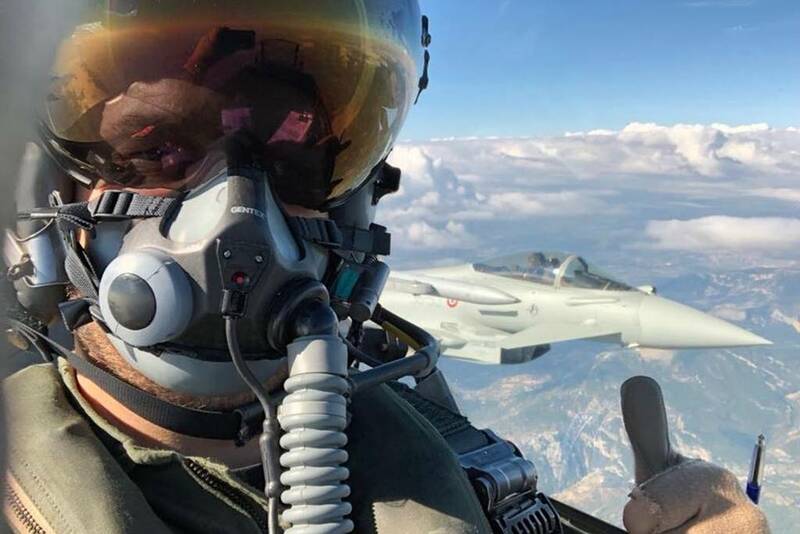 The fighter pilots are currently flying daily missions that became stronger day-by-day. According to 1 SQN "Stingers" Facebook page, during the first week they have performed Basic Fighter Maneuvers (BMF) against Italian Typhoons, while the second step includes Composite Air Operations (COMAO). This last phase also involves Italian F-35A jets assigned to the 32nd Wing of Amendola AB.